Oil prices have plunged back to levels not seen since OPEC announced its original production cut deal last November. Prices have been falling since the group extended their cuts for another nine months, a two-week slide that puts WTI back in the mid-$40s. The underlying factors for the price drop are the same as before: U.S. shale production continues to rise; inventories remain elevated; and the markets are concerned that the OPEC cuts are not doing enough to drain the surplus. But, in fact, the outlook has grown a bit darker more recently, as downside risks to the market have grown. 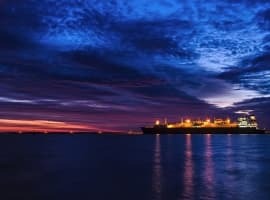 The immediate spark to the sharp percent selloff in crude oil prices on Wednesday came from the unexpectedly bearish EIA inventory report, which surprised market analysts. The report was especially bad news because both crude oil and gasoline inventories increased by 3.3 million barrels each at a time when stocks typically decline heading into the driving season. 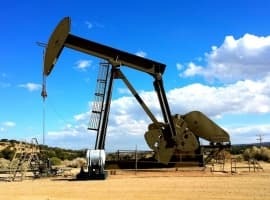 The increase ended several consecutive weeks of drawdowns and poured cold water on any hopes of swift rebound in prices – WTI and Brent dropped roughly 5 percent. 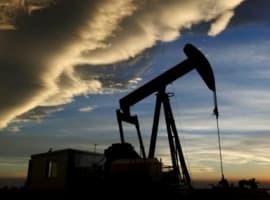 That comes after the EIA issued a statement saying that it is growing more confident that U.S. oil production will surge past 10 million barrels per day (mb/d) by 2018, which would be an all-time record for the United States. Piling on, the EIA said that it expects relatively unimpressive drawdowns in inventories this year, projecting declines of just 0.2 mb/d worldwide in 2017. And in what should be very worrying for OPEC and other oil bulls, the EIA also sees inventories rising again in 2018 by 0.1 mb/d. But the oil market also has some other immediate problems. Nigeria has presented downside risks to oil prices for quite some time, although the threat was latent for most of this year. Everyone knew that Nigeria’s disrupted pipelines and export terminals could come back at some point. That day has finally arrived. Royal Dutch Shell just lifted its force majeure on its Forcados oil shipments on Tuesday, paving the way for a flood of new supply. The Forcados shipments – an estimated 250,000 barrels per day – have been offline for more than a year. Nigeria is set to add the equivalent of one-fifth of the size of the OPEC cuts back into the market. “The market is already drowning” in oil supplies that are of similar quality to Forcados, Ehsan Ul-Haq, an oil analyst at KBC Advanced Technologies, told Bloomberg. In what could be a temporary jolt to oil prices, Libya’s largest oil field temporarily shut down on Wednesday due to a workers’ strike. But output from the 270,000-barrel-per-day Sharara field will probably come back online pretty soon, putting Libya’s total output back at its highest levels in years at 850,000 bpd. One wildcard over the past few days was the severing of diplomatic ties by several Gulf States with Qatar over the latter’s support for terrorism. Saudi Arabia, the UAE, Bahrain and Egypt cut diplomatic ties with Qatar, a move that temporarily rattled the oil market. The initial reaction from market analysts was that any tension in the Middle East is always bullish for crude. If Qatari shipments were disrupted for some reason, that would erase some supply. But the flip side is that hostility between fellow OPEC members could undermine mutual trust, threatening to derail compliance with the production cuts. That would be decidedly bearish for oil prices. However, for now, many experts think that the tension won’t have any immediate impact, especially since Qatar was a major driver of the OPEC deal. Related: Is Russia Running Out Of Patience With OPEC? Looking further out, there is a much larger, if less certain, risk to oil prices. Several Russian officials have made some eye-raising comments recently regarding their production; comments that do not necessarily mean anything concrete right now, but offer an important reminder that Russia’s willingness to prop up oil prices cannot be taken for granted. It is hard not to view the statements as a threat to prices. “There were some stark comments from the Rosneft CEO who said that there is a plan by producers to flood the market with oil,” John Kilduff, a partner at Again Capital LLC, told Bloomberg last week. “His comments certainly registered with the market. As you look back now at the deal, it looks increasingly lame." Taken altogether, the end result could be that oil gets stuck in the mid-$40s in the near run, rather than gradually rising beyond $50 and closer to $60 as previously expected. Here's a novel suggestion, instead of trying to fix and manipulate the market why not let producer supply and consumer demand regulate the price of oil and then focus on developing technology and expertise to reduce your costs. Because speculators can't make money with natural supply and demand. The market is based on so many variables however, manipulation strategies are not sustainable for very long. Doesn't matter what price it hits, we continue to see the highest fuel prices here in Australia due to the fuel giants greed. Cheaper for them just means higher profits and the real people of the planet going around doing the real work suffer for it.